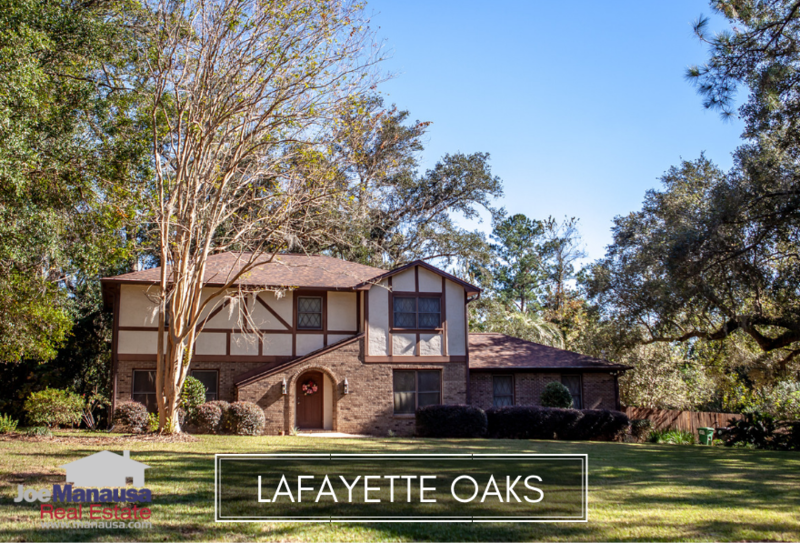 Lafayette Oaks features sizable mature lots and large older homes (with an occasional new construction offering), you can get a lot of home for your money in this popular eastside community. Located on the east side of town between Capital Circle and I-10 on the west side of Mahan Drive, Tallahassee's first gated community is a value buy right now. It is important to note that the narrative contained below is for sales through December for all previous years, but through four weeks in March in 2019. The graphs and the closed sales table will be continuously updated into the future (meaning bookmark this page if you always want to know the current status of homes in the Lafayette Oaks). 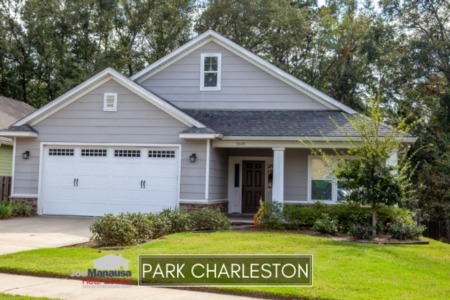 The average home price in Lafayette Oaks moved 16% higher in 2018, the result of a few new construction homes selling as well as the completion of road work on Mahan Drive which was causing many buyers to look elsewhere due to heavy traffic congestion. They won't be looking elsewhere now! The current average home price in Lafayette Oaks is $362,500, which will represent an all-time annual average high when the year closes in the next two weeks. Home sales activity in Lafayette Oaks remains robust. Currently, there a six homes for sale in Lafayette Oaks, and three are under contract. Average home values hit a new high in 2018 and it's likely this neighborhood will only get stronger. The average value of a home sold in Lafayette Oaks in 2018 was $137 per square foot, up more than 23% from the 2017 average! While we can not attribute this purely to appreciation (2 of the sales were new construction), homeowners should be thrilled that values are climbing back. The average home size sold in Lafayette Oaks typically falls in a range of 2,400 to 2,800 square feet, and 2018 was no different. The 17 homes sold in Lafayette Oaks in 2018 averaged 2,605 square feet. The following list shows more than 410 home sales in Lafayette Oaks going back to 1991. 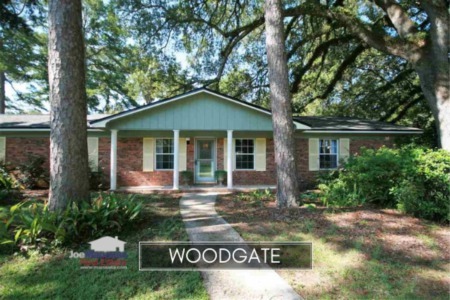 This concludes our April 2019 update on home sales in Lafayette Oaks, please give us a call at (850) 366-8917 or drop us a note if you have questions about this gated neighborhood on the east side of Tallahassee. Want to move? Here's what people are saying about working with Joe Manausa Real Estate, you can see thousands of real customer reviews reported on Google, Facebook and Zillow right here: http://www.manausa.com/testimonials.